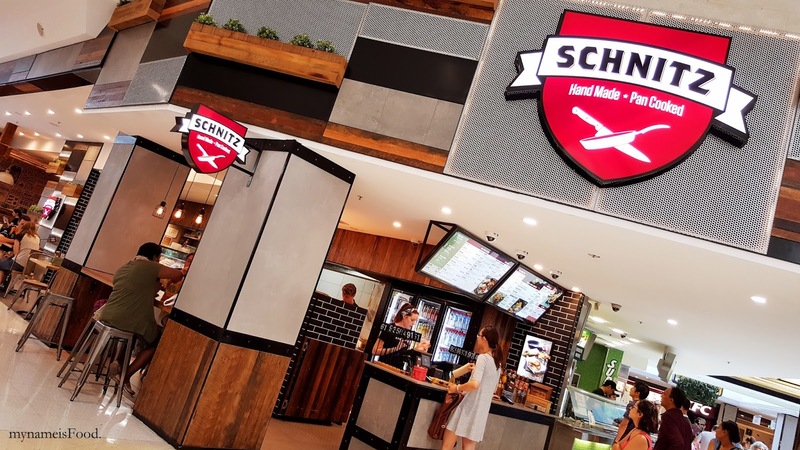 Schnitz, Westfield Garden City, Eight Mile Plains, Brisbane - my name is Food. 'Plain and Simple' ($10.90) is one of their simple schnitz rolls/wraps and you may add a small combo or a large combo on top if you would like chips and drink with it. 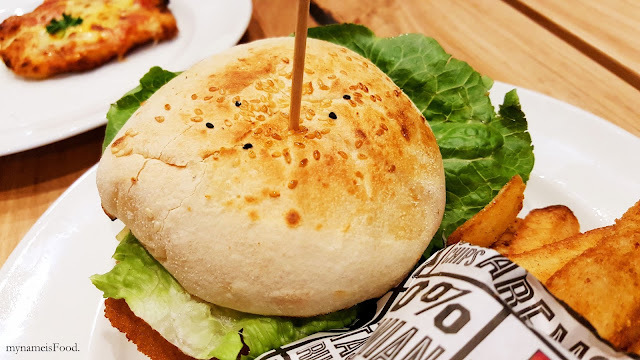 It is always good to try the simplest or the basic burger when trying out a restaurant as if a restaurant can make a killer of a basic burger then their other add ons would just be a bonus on top. 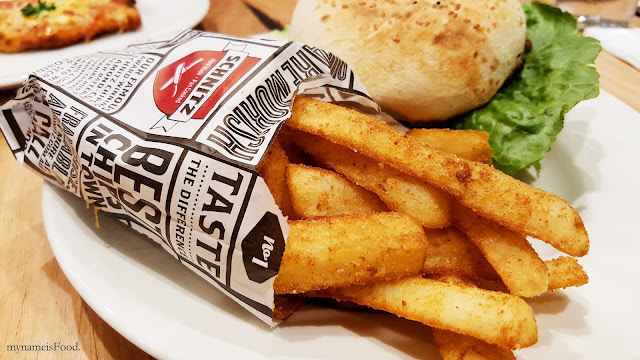 We didn't order it with a combo but instead, we bought large chips on the side. 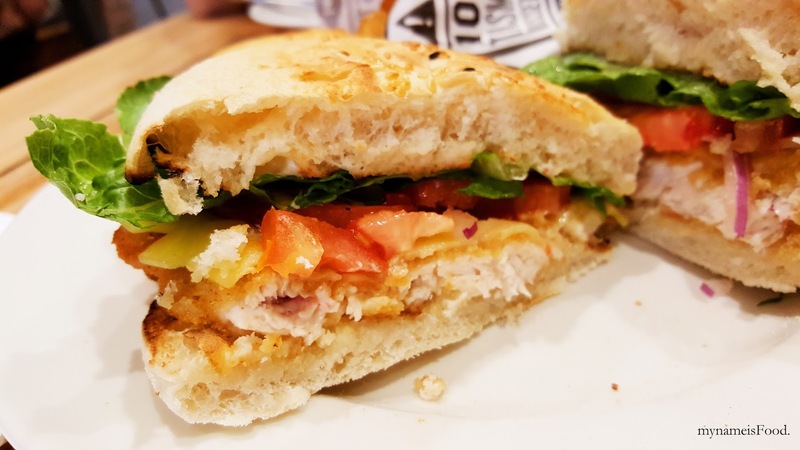 Plain and Simple has schnitzel, tasty cheese, baby cos lettuce, tomato, spanish onion and mayo. When presented, it seemed quite a decent size and by toasting the bun is always a good idea to make the burger to have that crunchyness. For the baby cos lettuce, tomato and tasty cheese, they seemed to be quite limited as there were only one each, so when biting into the burger on one end, you may get only the schnitzel meat but not the tomato or the cheese. These burgers weren't cheap so I was hoping for more in it so we were dissapointed, yes, in its contents. 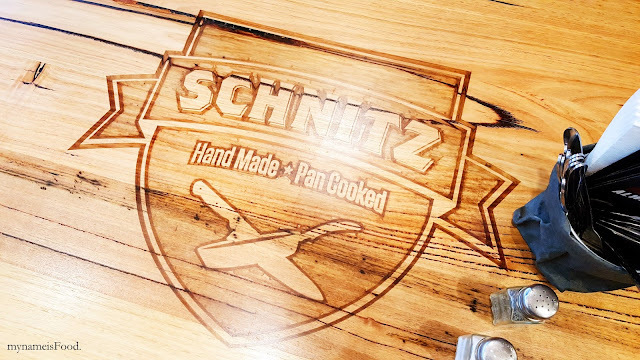 The schnitzel was bland and also did not make us enjoy it at all. I've had much better burgers for cheaper prices. 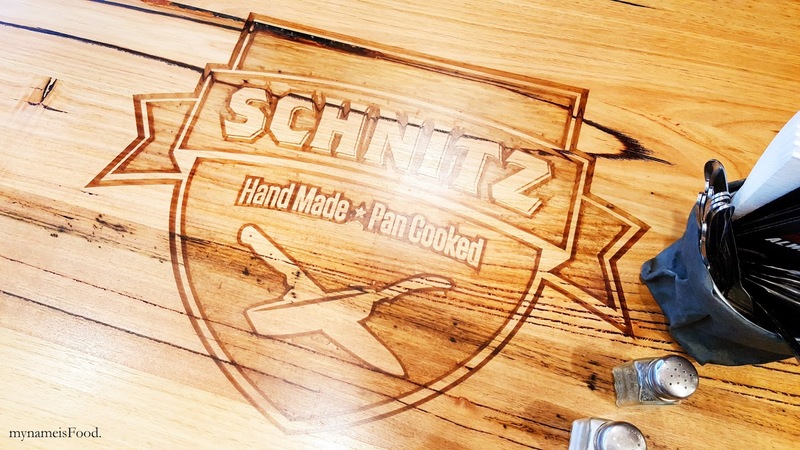 The schnitzel itself was small, its crumbs had no spices or seasoning that gave it a kick. Overall, it did not stood out, was it good? Meh.. I'd rather go elsewhere. 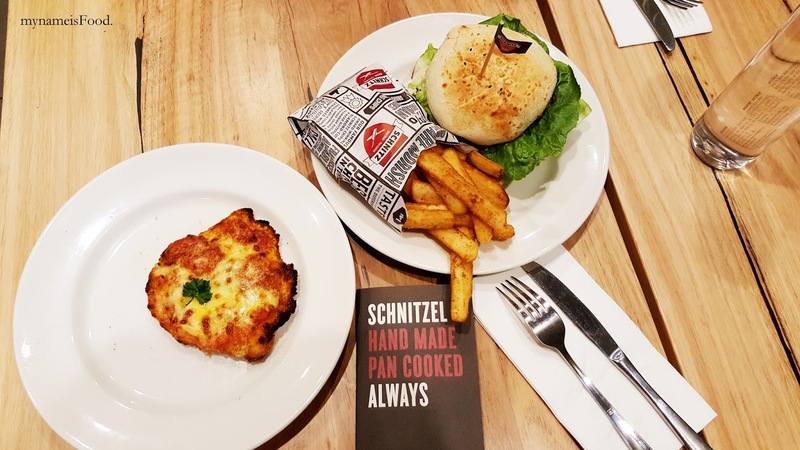 'Schnitzel Parmigiana' ($9.70) is a classic schnitzel topped with premium Napoli and mozarella cheese. When it arrived, we were both quite shocked at how small it was. It just seemed like it was a kids meal. Totally outrageous if I may say. 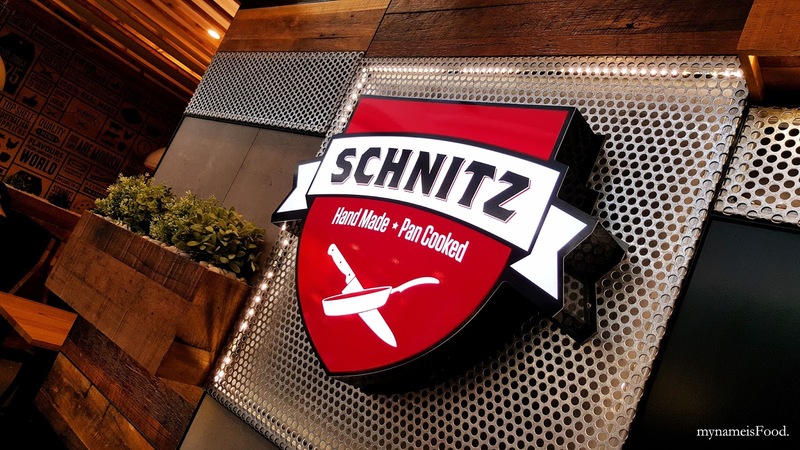 For the amount of price I am paying for the portion and also by seeing that the sides of the schnitzel had black burnt bits, it just didn't seem fair at all. If we had bought the schnitzel by itself, then it would be so plain and so dry. It said premium napoli sauce was used but seriously, I do think it seemed like it was just a chunky tomato sauce or not even chunky actually topped with a slice of mozarella cheese. 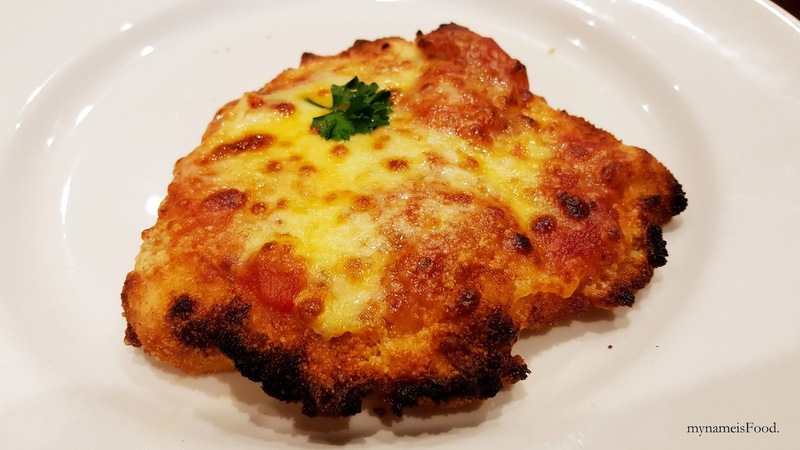 The crumb was hard and was not as crispy as it also felt like the schnitzel was microwaved after having the tomato sauce and mozarella cheese on top as the meat seemed dry and rubbery. 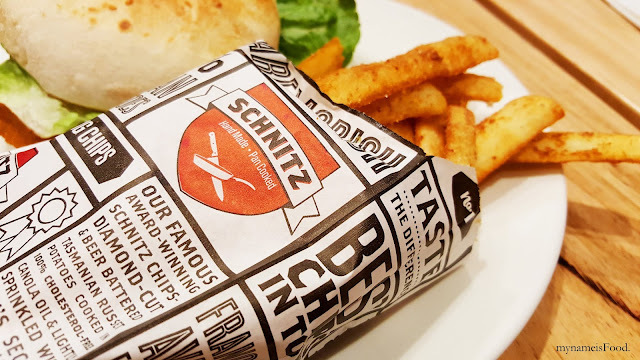 The schnitzel was just ridiculously small. 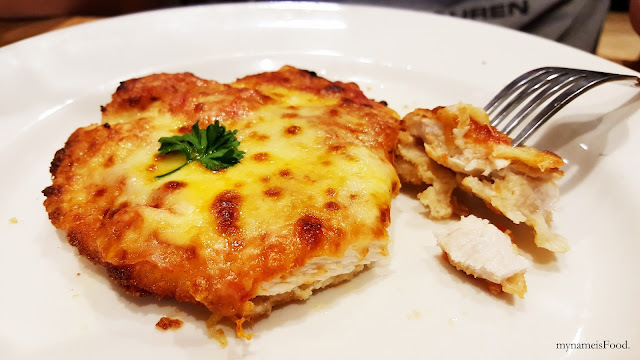 Of course if I knew this would be the case, I would rather go out to the restaurant precinct and eat elsewhere for a better meal. 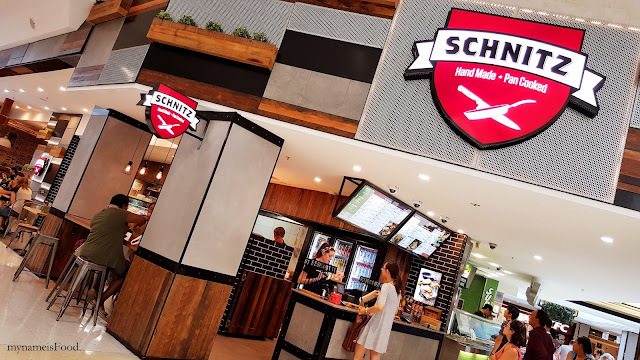 To be honest, I had hoped for better for Schnitz as when I saw that that it was coming soon and when it opened, as it did advertise the freshness of both ingredients and meat. But this has really disappointed both of us as we expected better for its quality for its pricing. 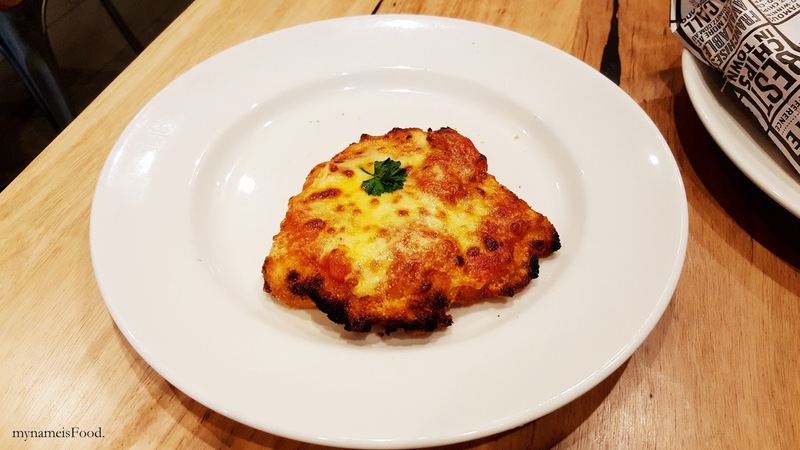 It also looked like that the size of the schnitzel was the same size as what was given in the burger we had however the only difference would be this had tomato sauce and cheese on top with burnt sides. 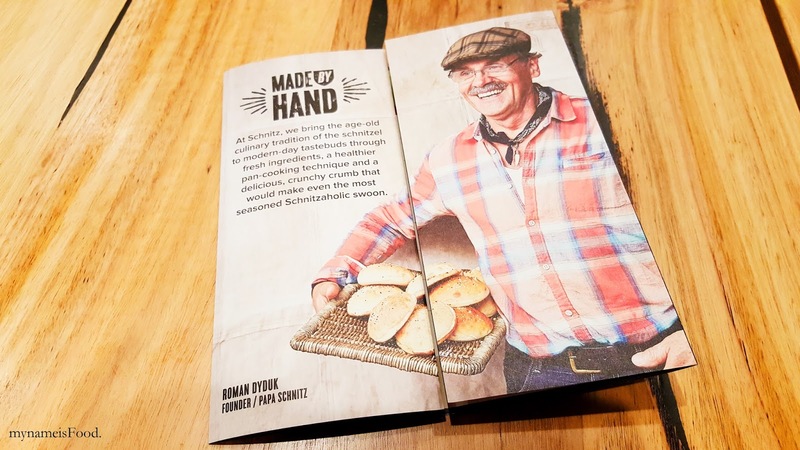 The schnitzel meat was thin and dry and topping it off with the not crispy and rubbery crumb made it worse. 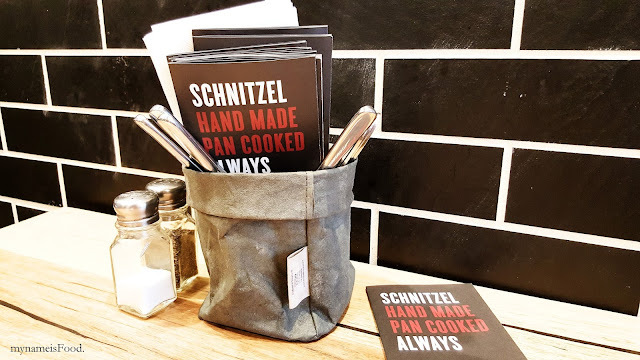 Even ordering Schnitzels at a pub is better than this, thickerr and juicy meat, crispy crumb, fried thinly and nicely, fresh ingredients such as salad and crispy chips on the side. That is yum. This is not. 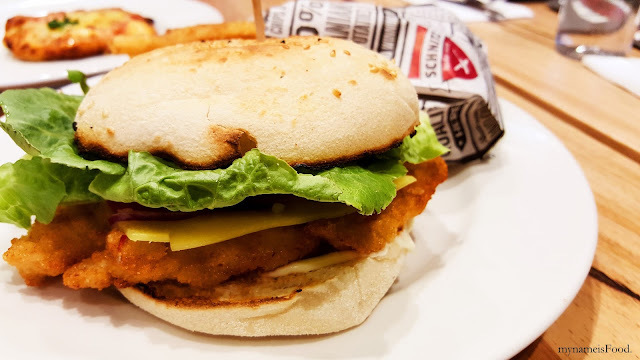 You can see the portion of the schnitzel compared to the burger. 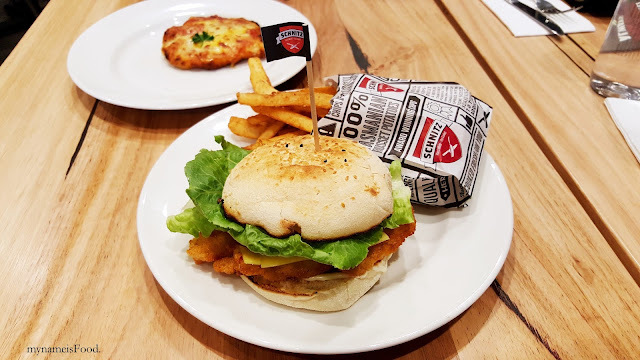 The schnitzel could not even cover 1/4 of the plate and was smaller than the size of the burger. 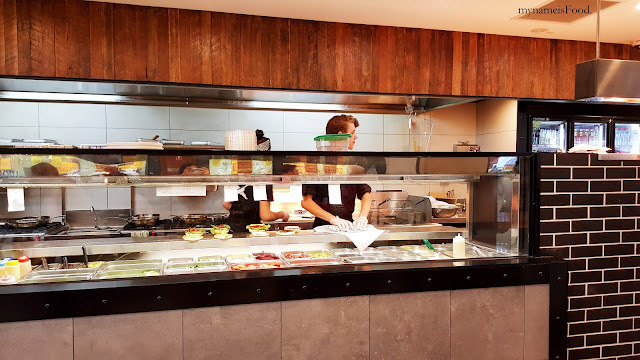 So if I was asked if I would go back and eat here again, my answer would be maybe not.. there are better burger places or other restaurants that offers a much better burgers and schnitzel with either the same price or even a higher price which I would rather pay for if I know I will receive a better quality and portion.. much much more worth it. So yes, I would not bother with this place again. There are better restaurants to go out around even in the mall itself to grab a better burger and schnitzel.